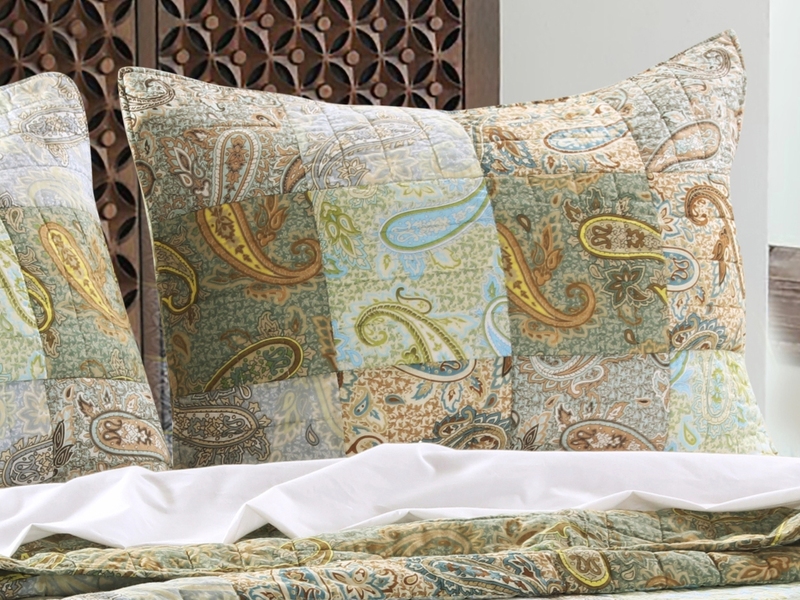 Carefully pieced and quilted, the Paisley Dream quilt adds distinctive sophistication to your space. 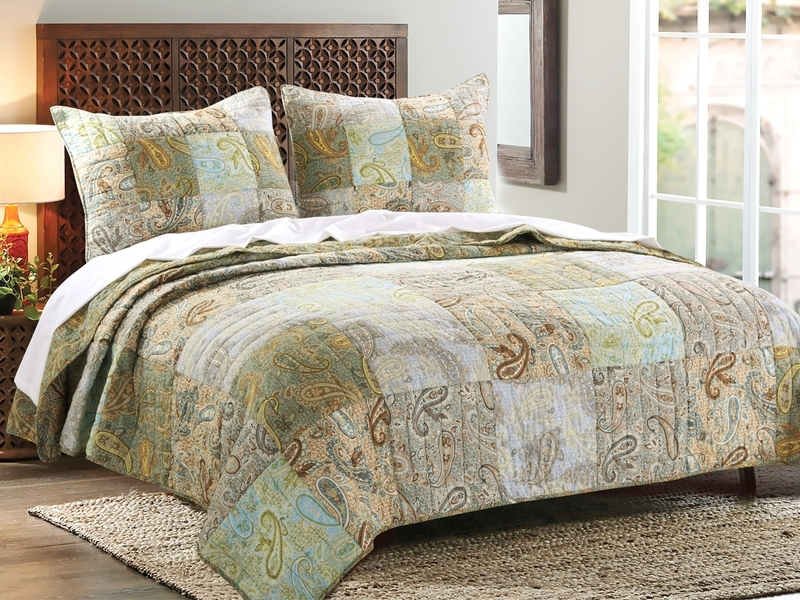 Retro paisley prints in fashion forward colors update your room. Hand-guided quilting adds unique character. Reverses to a coordinating fashion print. Machine quilted for durability.